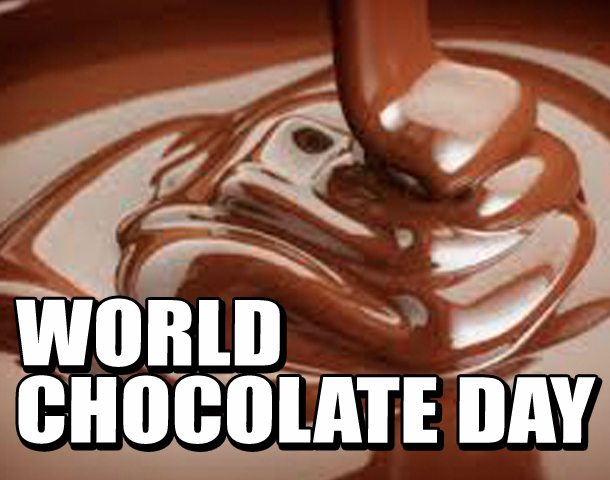 Today is World Chocolate Day! Or at least one of the Chocolate Days on the calendar. It’s a bit confusing, but any excuse to eat chocolate works for me. I don’t know if I’ve shared this story before or not. It’s about how chocolate came to the world. Long ago, there lived a people called the Toltecas. They were related to the Aztecs. They were poor and hungry. Though they worked hard to find food, they didn’t know how to properly grow and cook it. As the gods looked down upon them, they wondered what to do. The god Quetzalcoatl decided to descend to the earth and teach the Toltecas about food. At first, the Toltecas were fearful. But, they began to see that this was no ordinary human. He seemed to have special powers. He had abilities that others could only dream about. They began to worship this superhuman. Immediately, the Toltecas set to work building a palace in the middle of their city. The house was grandiose: it had pillars with human-like carvings, a grand staircase and the Toltecas used the best stone they could find. Quetzalcoatl invited other gods to reign over the Toltecas, as well. Tlaloc was the god of rain, and also served as a creator of life. Xochiquetzal was the wife of Tlaloc. She was the goddess of happiness and love, and shared her knowledge of how to make pulque, a fermented drink from the maguey tree, with the Toltecas. All three were good gods. They helped teach the Toltecas how to farm and make nutritious, healthy food. They showed them how to be artists and to study the stars. They also showed the people how to use the calendar and to calculate the best times for seed plantings and harvests. When the Toltecas had learned to be expert farmers, Quetzalcoatl wanted to give the people another gift: a cacao plant. He did not tell the people he had stolen this plant from his twin brother. Quetzalcoatl knew that his brother only wanted this plant for himself and the other gods. All the gods in heaven felt that the people were not deserving of the drink from this special plant. Quetzalcoatl did not feel this way. He swiped the tree when his brother wasn’t watching. It was so beautiful with its small green leaves growing from its low-hanging branches. Quetzalcoatl immediately planted the cacao in the earth. He asked Tlaloc to use his powers and send rain to the plant. Then he told Xochiquetzal to use her talents to adorn it with flowers. She picked beautiful, small red flowers that would complement the leaves. Once the tree fruited, Quetzalcoatl gathered the little pods. The seeds remained inside. He showed the people how to toast the seeds in the pods and then use gourds, heavy with water, to smash them. At first, only the priests and nobles were allowed to consume the drink that resulted. It was very bitter. The people used the syrup from the buzzing bees to sweeten the flavor. Eventually, Quetzalcoatl’s brother found out what he had done and the gods were angry. They sought out Quetzalcoatl’s enemy, Texcatlipoca. While Quetzalcoatl was the god of light, Texcatlipoca was the god of darkness. Texcatlipoca decided to come to the earth disguised as a spider. He snuck into Quetzalcoatl’s palace unseen. Quetzalcoatl had been tired and sad. He had a bad dream that the gods in heaven were going to take revenge on him. 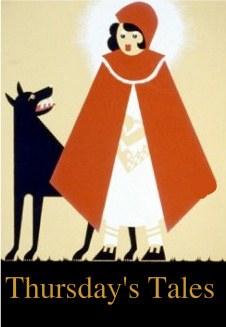 He also feared for the Toltecas, his people. What would the gods do to them? Right now, they were healthy and happy. Would they lose everything? Texcatlipoca transformed himself into a merchant selling drinks of pulque. When Quetzalcoatl approached, he offered him some. As they toasted, Texcatlipoca told Quetzalcoatl, “May you forget your sorrows and live happily.” Not knowing the merchant was a trickster, Quetzalcoatl took the drink. He drank until he didn’t feel like himself. Quetzalcoatl began to sing and dance loudly. His speech was slurred and he acted very erratically. He danced and sang until he collapsed from exhaustion. The people watched in horror at this spectacle of their beloved Quetzalcoatl. When Quetzalcoatl awakened, he felt ashamed of his behavior. He had let his people down. He had let himself down. The people were now enduring great hardships. Quetzalcoatl was so embarrassed by his actions and the ensuing devastation of his lands. He quickly gathered his things and ran toward the evening star. It pained him greatly to see the beautiful cacao plants once so green and vibrant, now withered and dry. They wouldn’t produce any cacao seeds again! Quetzalcoatl continued on his journey. As he got to the western beaches, he looked back from whence he came. He cast a sad smile on the land and scattered a few remaining seeds of cacao onto the landscape. He had managed to save a few in his pocket from before he drank the pulque. This would be his last gift to the people. Now the cacao plant grows in tropical areas, and never in the mountains. This is because these were the last areas to see the footsteps of Quetzalcoatl, the one who insisted on bringing chocolate to the people. If it wasn’t summer, I’d have a big mug of hot chocolate this evening. As is, I think the chocolate chips in my cupboard will make a nice treat later. Seems a good excuse to go get a candy bar!